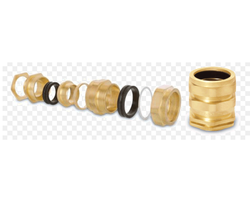 Our brass parts range in cable glands include PG cable gland, BW 2 part cable gland, BW 3 part cable gland, CW cable gland, E1W cable gland, A2 type cable gland, TRS type cable gland and alco type cable gland. We are pleased to introduce ourselves as a pioneer of Brass Screws, Brass Components, Brass Parts, Brass Manufacturers, Brass Fittings, Brass Hose Barbs, Brass Turned Parts, Brass Casting, Brass Anchors, Brass Plumbing Fittings, Brass Nuts, Brass Cable Glands, Brass Conduit Fittings, Brass Electrical Accessories, Brass Expansion Fasteners, Brass Inserts, Brass Moulding Inserts, Brass Pressed Parts, Brass Sanitary Fittings, Brass Screw Machine Parts, Brass Battery Terminals and all type of precision Brass turned or punched components as per customers specifications and drawings. Foundation stone of our organization was laid down in the year 1970, and ever since then we have been engaged in manufacturing and supplying precisely engineered Part Cable Gland. The product we offer is a part that is used to monitor combustion while developing internal combustion engines. 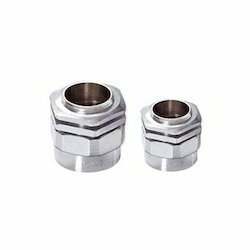 Available in a wide number of specifications, this gland suits the specific requirements of customers. cables. A rubber seal compresses on cable to provide a tight fit against cable. BW 2 part cable gland 20 mm to 90 mm s & l use with swa, plastic and rubber (elastomer) sheathed cables. used in dry indoor application for armoured cable. bw 4 part cable gland 20 mm to 90 mm s & l suitable for swa, plastic and rubber sheathed cables. Used in indoor applications. 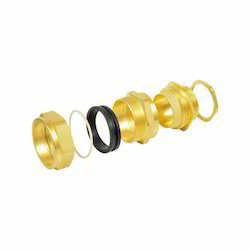 With the immense support of our deft professionals, we are offering a comprehensive range ofTRS Brass Cable Gland. 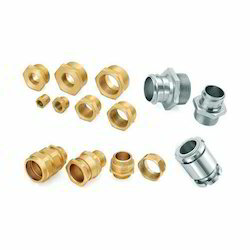 The offered gamut of TRS cable glands is manufactured by our experts using high quality brass, which is procured from reliable vendors of the market. Further, these TRS brass cable glands are available with us in various sizes ranging from 16 mm to 32 mm. 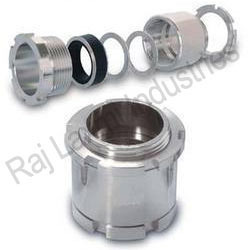 We are recognized amongst the eminent importer, wholesaler and supplier of Part Cable Gland. Widely use in various places, our offered buzzers is designed using best grade electrical components in compliance with set industry norms. Along with that, we also offer these buzzers in several specifications to our customers spread across the country within promised time frame. 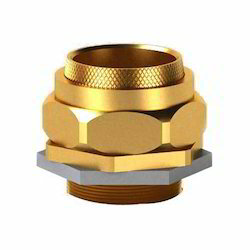 We are a noted organization, which is engaged in manufacturing, supplying and exporting a wide range of high-grade Brass Cable Gland IP 68. The offered range of brass cable glands is designed & developed by our experts in adherence to the international quality standards. 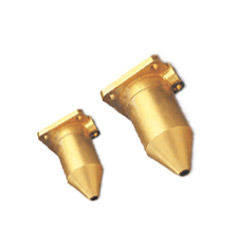 Further, for these brass cable glands, we are offering customization solutions to the clients. Leveraging on the support of our knowledgeable workforce, we have been able to come up with a vast variety of Brass Cable Glands. The glands we offer in this array are designed and made with utmost precision so as to suit the requirements of customers. Further, our team members make use of pristine grade metals and other materials in the manufacturing process, ensuring compliance with the finished product with defined industry norms. We have been able to offer our clients an excellent quality Wiping Gland. The offered range is manufactured using high grade raw material and latest techniques in varied specifications for our clients to choose from. It is tested on well defined parameter in order to deliver defect free range. Further, clients can avail these glands from us at affordable prices. With the support of our adroit team of professionals, we are manufacturing, supplying and exporting a broad array of Marine Cable Gland. 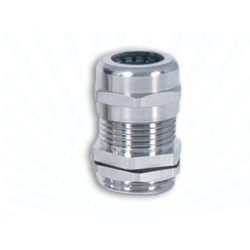 The offered range of marine cable glands is manufactured by our experts using superior quality brass and stainless steel, which is procured from the certified vendors of the market. Further, we assure to deliver the consignments at clients’ premises within stipulated time frame.